This weekend GameStop is including a free 2-sided poster with pre-orders of Grand Theft Auto V for PC, PlayStation 4, or Xbox One. The poster features the cover art on one side and an official artwork of the three protagonists on the other side. Grand Theft Auto V and GTA Online are coming to PC and new-gen consoles this Fall 2014. An official release date has not been set yet but keep up with the latest and greatest in the forums! 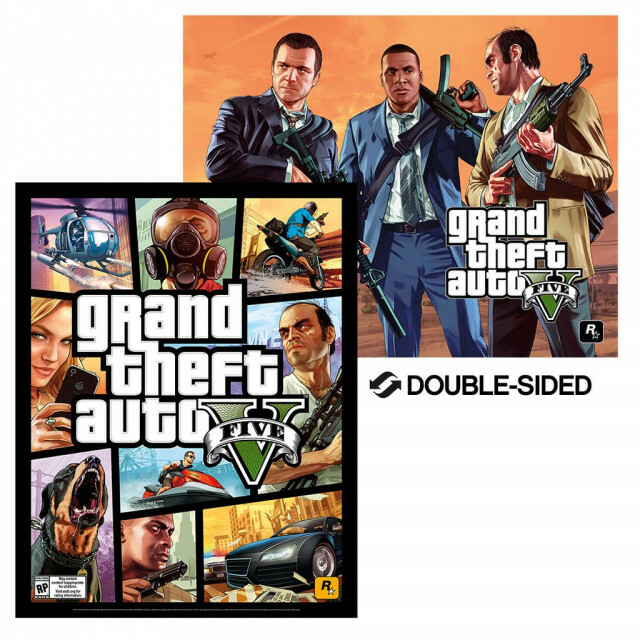 Get a Poster with GameStop Pre-orders this Weekend - GameStop is including free GTA V posters this weekend when you pre-order the game for PC, PS4, or Xb1.